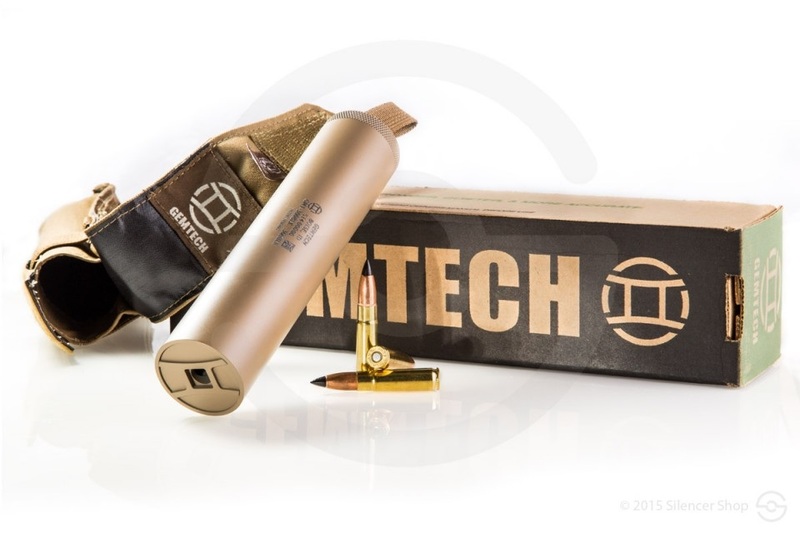 GEMTECH's GMT-300BLK suppressor utilizes our patented G-Core technology. 300Blackout is a unique round that super and subsonic ammunition function differently in the same rifle. The suppressor is optimized for use with both super and subsonic ammunition in short barrelled rifles. The GMT-300BLK, being a G-Core suppressor, is completely user serviceable. Features: Sound Reduction: 36-39 dB. Caliber: 300 Blackout Supersonic and subsonic only. Full Auto Rated. Length: 6.7". Diameter: 1.5". Weight: 14 oz. Material: Titanium. Tube Finish: Black Cerakote with Reduced Visual-IR Signature. Core Finish: Titanium. Mount: 5/8-24 Thread. For Barrels: 7.5" or longer 300 BLK.